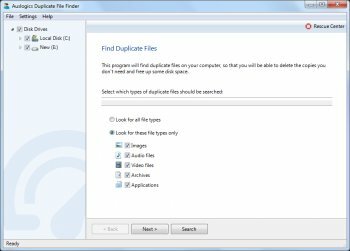 Auslogics Duplicate File Finder is a nifty free utility that will help you get rid of useless duplicates and reclaim up to 50% of free hard disk space. It will ask you for duplicate files search criteria - you can match files by name, date and time they were created, size, and even contents. 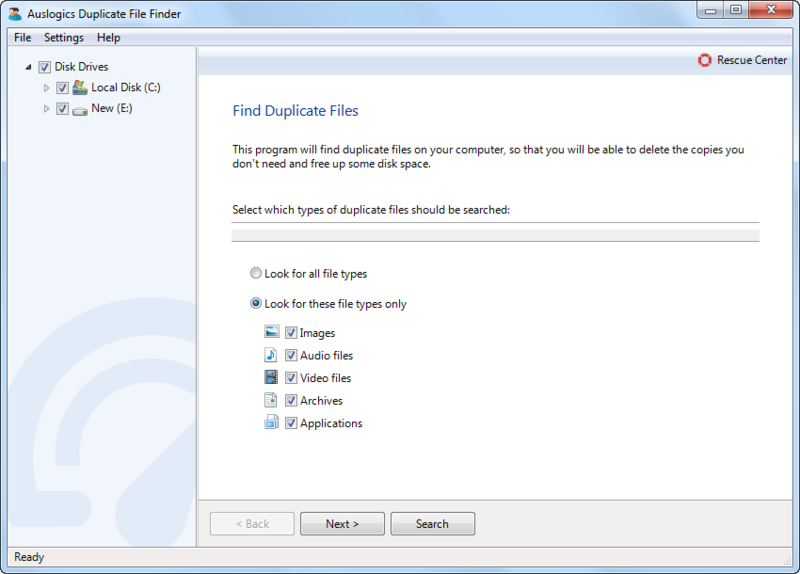 Then it will do a quick but thorough search and present you with the list of duplicate files. You can review them before deleting any. That way you can avoid deleting any files that are not duplicates, but match your search criteria. All their software is junk malware! Stay far away from anything the make! Well i downloaded this expecting it to be nice and easy. this is after the 5th NEXT, previous you accept the agreement, the default install folder, desktop icon. is this crapware was removed, then at least i would have installed it.